The next shops were higher up the street, just below the Almshouses. The two shops and houses adjoining the property of grocer Isaac Gregory were built about 1860 and David Pressland was one of the first occupants of one of them. By 1867 David had moved on to trade in the Market Place. The first one, empty for a long time, was afterwards taken by Scales & Salter’s, shoe people. The first shop was ‘Leeds House’ which in the early 1860’s was occupied by wholesale and retail shoe manufacturers H. Parker and J. Cupit. This firm experienced financial difficulties and was bankrupt by the end of 1865. At the end of March 1866 auctioneer Fred Paling offered for sale all the firm’s stock and capital equipment … 200 pairs of boots and shoes, laces, leather, iron and wood lasts, rolling machines, sewing and pricking machines, one weighing machine and a large cutting out machine, miscellaneous tools, fixtures, fittings and furniture. And into the premises in that March moved Scales and Salter, boot and shoe stores, a firm which was already established in Leeds, Liverpool and Derby. In 1866 the shop was granted permission by the Local Board to erect a window blind over the footpath. William Richard Lawson came to Bath Street from Pudsey near Leeds about 1870 with his wife and young daughter to be the manager of the stores, which were now numbered 106 Bath Street. Next Mr. Riley, glass and china dealer. In 1871 this was 107 Bath Street. Richard Riley, ’the man of pottery and pronounced heterodox principles’ (RBH) was another ‘foreigner’, born in Cheadle, Staffordshire in 1825 and coming from the Potteries, via Derby and Codnor to Ilkeston about 1861. Richard had gone to work in the pottery industry at the age of 11 and as an apprentice learned his craft in the Potteries. He seems to have been steeped in and receptive to the tradition of popular radicalism and trade unionism of the North Staffordshire area. As a member and staunch supporter of the Potters’ Trade Union, Richard was influenced in early life by George Jacob Holyoake, a committed campaigner for secularism and Free Thought, an influence which was to last for the rest of his life. Richard was also an agitator for the political reforms advocated by the Chartist Movement. In 1847 he had married Mira Myatt, daughter of shoemaker John and Rebecca (nee Robinson) and as his family grew Richard found the pressures of earning a living combined with the strains and dangers of political agitation too much for him. Consequently, at the age of 32 he left his native area to attempt to build up a business in Derby but experiencing financial difficulties there he moved on to Codnor. After initial success further problems led to his arrival at Ilkeston. (Born in 1854 the first daughter of Richard and Myra was registered as Eleanor Holyoake Riley). The 1861 census finds his family in Granby Street but he soon moved into Bath Street where he traded for the most of the rest of his life — although the 1891 census shows him at Jessop Street in Codnor, though still trading at Bath Street. In November of the previous year he had been given an excellent character reference by two Ilkeston magistrates … and he needed it !! Richard was in the dock at Derby Borough Court, charged by the RSPCA with working a horse while lame. The animal in question was hobbling on three legs, dragging a cart, laden with pots, and had arrived in Derby from Richard’s shop in Codnor. Its fourth foot suffered from ‘all the diseases it was susceptible to’. Richard pleaded ignorance .. he had bought the horse only a week or so earlier and argued that the lameness had developed on the way to market. Perhaps the intervention of his ‘learned friends’ saved Richard from a larger fine than the 5s handed down to him. Richard died in February 1903 at 38 Bath Street. His wife Mira had died at the same address two years earlier. 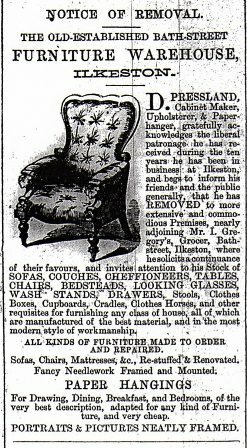 At his death an obituary, under the heading of ‘Trades Unionist, Chartist, Rationalist, Socialist’, appeared in the Ilkeston Advertiser written by Harry Silburn, bootmaker of South Street and ‘comrade’ of Richard. “He ran as a candidate for our local governing body, and, despite the unpopularity of his theological views, was nearly successful. (This was in 1887 when Richard tried to enter the Town Council for the Central Ward under the auspices of the Working Men’s Ratepayers Association). Some of the tactics resorted to by his opponents do not appear to have been of a very savoury character. At the inauguration of the Ilkeston branch of the Social Democratic Federation our comrade was one of the first members and remained to the last a firm consistent believer in our principles. “Though debarred by the encroachments of old age from taking a very active part in our propaganda, his unwavering enthusiasm, his keen and merciless logic, his wide grasp of labour questions, his life-long habit of arguing from first principles, proved of immense advantage to the body of young men who surrounded him. And through it all he retained a freshness of spirit and cheerfulness of temper wonderful to see. Even the five weeks spent in bed previous to his death could not dim his cheerfulness nor break his spirit. He died as he lived, a blessing for all on his lips, calm, dignified, at peace with the world”. “‘Life’s race well run; Life’s work well done. Now comes rest’ ”. The Advertiser was also generous in its assessment of Richard. “…none who really knew him could deny that his convictions were to him as real as existence itself…. The man who could cross swords with Richard Riley and come out unscathed was a man equipped with more than average intelligence and more than ordinary political and religious depth of thought. What Richard Riley might have accomplished had his mind been moulded on different lines who shall say? He deliberately chose to pay the penalty of adopting what he knew was the unpopular side in both religion and politics, and even those of us who believe he was on the wrong side in both must be ready to cast on his grave a laurel leaf of tribute to the sterling honesty of the man, who through good and ill report, often to his own private and public detriment, adhered with the tenacity of deep conviction to the things which he believed to be true”. At this same time the Pioneer referred to him as “probably the oldest Socialist in the borough, recalling the many letters he wrote to the local press in the nom-de-plume of ‘Observer’”. The third shop was occupied by Mr. Isaac Gregory, grocer. His wife was sister to Mr. Bob Marshall, of the White Lion, White Lion Square. Mr Gregory was a machinist at Ball’s, his wife attended to the shop. When they retired they lived at Gregory House, Gregory Street. This was 108 Bath Street in 1871. 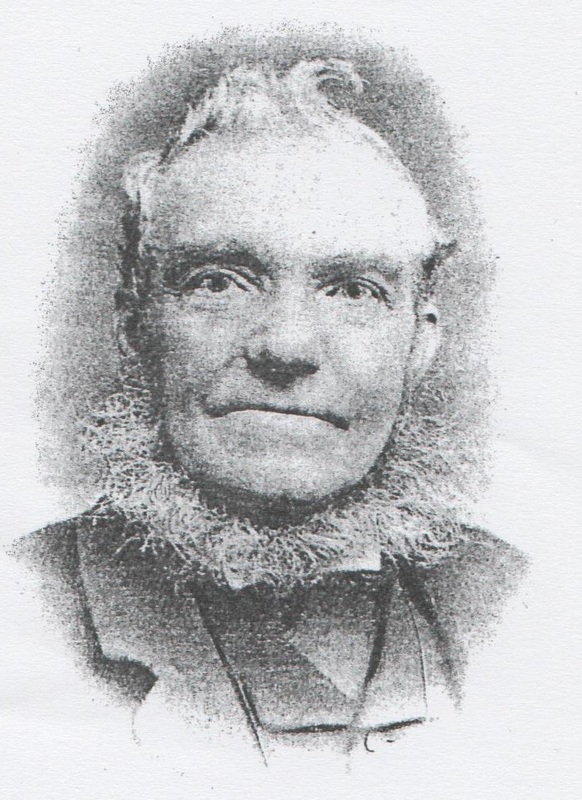 Isaac Gregory, son of Isaac and Mary (nee Skevington), was born on October 17th 1824 and was initially employed as a collier like his father and later became engaged in the lace industry. He served as an apprentice to William Ball before establishing a business as grocer and seedsman in Bath Street in 1857, remaining there for almost 30 years. Harrod & Co’s trade directory of 1870 also describes him as ‘Foreign and British wine merchant’… his wine licence had been granted in August 1869. In late 1874 Isaac had new shop premises built on the other side of Bath Street, almost opposite to his former premises. At the same time he applied for a licence to sell wines and spirits but this was refused. However in August 1875 he was licensed to sell wine, beer and spirits by retail off the premises, one of the very few licences granted to Ilkeston traders that year. In January 1885 the business moved into Gregory Street, to be replaced — at what was then 17 and 18 Bath Street — by provision dealer Alfred Burton Wood, who had just moved from number 12, further up Bath Street. At that time the premises were opposite the branch of Samuel Smith & Co’s Bank. Isaac had connections with the old Highway Board and then was a member of the Local Board at intervals for many years, serving as treasurer and chairman for a short period. He took an interest in Liberal politics, helping to form the Ilkeston Liberal club, and at the end of his life was one of its directors. 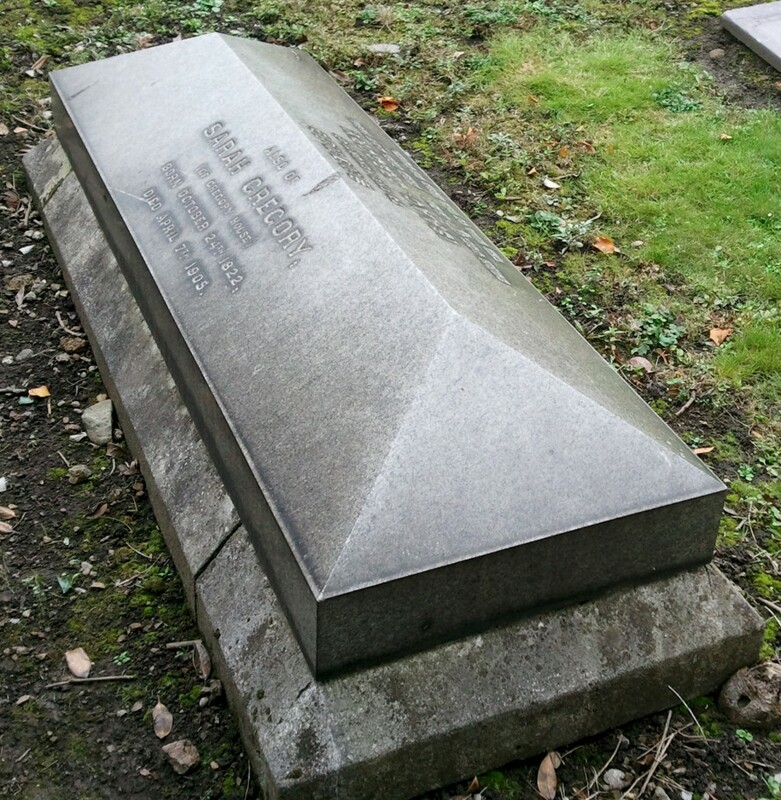 He was also a shareholder, a director and one of the managers of the Ilkeston General Cemetery Company. Isaac was a keen cricketer for the Rutland Cricket Club, joining in 1845, and was described as “one of the best wicket-keepers in the country”. On seven occasions he played for Derbyshire against All England as in 1851. In that match his batting was described as ‘scientific’ and ‘gave confidence to those who faced him’. His contribution of 24 not out in the first innings proved to be the highest Derbyshire score — and 24 more runs than he got in the second innings. Since 1850 he had used his Bath Street premises as a ‘Cricketers Depot’ supplying patrons with requisites for the noble game. He retired from the game in 1865. On May 8th 1858 Isaac married Sarah Marshall, youngest surviving daughter of Market Place grocer Thomas and Catherine (nee Jackson). They had no children. Isaac died at Gregory House, Gregory Street, at about nine o’clock on the evening of February 23rd 1888, aged 63, after an attack of bronchitis. The Pioneer could not resist linking his sporting life with his death. “Death, the stumper who will shatter all our wickets in due course, found the old cricketer out of his ground, and he has been compelled to retire after playing a tolerably good innings”. And in 1888 Wright‘s Directory listed “Mrs Sarah Gregory, ale and porter merchant and seed dealer, Gregory street”. Sarah also died at Gregory House, on April 7th 1905, aged 82. Isaac and Sarah are buried together in St. Mary’s churchyard. Isaac and Sarah occupying the crease together. Isaac would be happy with the site … against the graveyard wall next to the Old Cricket Ground. Past the shop of Isaac Gregory but below Jack Lee’s yard and up some steps were the old Smedley’s Alms Houses.